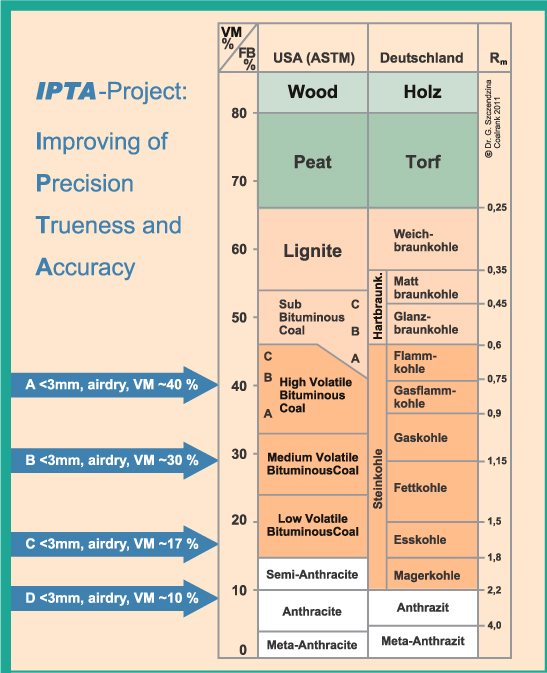 "IPTA" stands for "Improve Precision, trueness and accuracy" in analyzing of solid fuel. 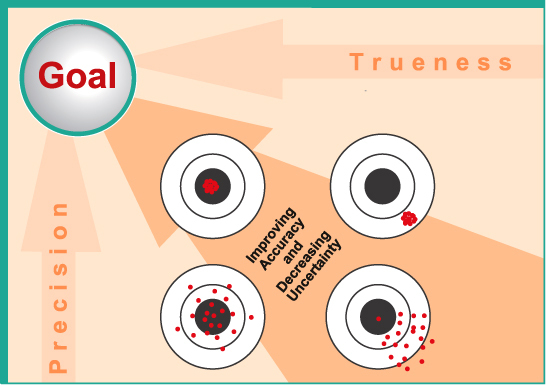 Figure 1 illustrates the aim of the IPTA project: Precise and accurate results! The DCC GmbH offers four full value coals from different coalification areas with reference material specifications (hard coal, 50 g, <3 mm, air-dried). The total sample should be (eg in the disc mill) analysis prepared fine. - From these coals reference material can be created with "desired levels" of concentration for individual parameters. - It is also possible to perform "unphoneable" round robin tests. - Proficiency test "on demand" certificate after target/actual comparison of individual blend samples. - Implementation of proficiency testing program with an individual evaluation.